Green Energy Doors Open, is a province-wide, year-round communications campaign and showcase of individual, community, and commercial sustainable energy projects. It is organized and spearheaded by the Ontario Sustainable Energy Association. The initiative aims to showcase advancements in the sector, demonstrating that Ontario is already on the path to building a 100% clean, sustainable energy system. This September 9th, 10th, 11th, businesses, organizations and homeowners across Ontatrio will be opening their doors and hosting free events to showcase their sustainable energy initiatives. Bring the family for a fun-filled weekend of environmentally-friendly events in your neighbourhood. 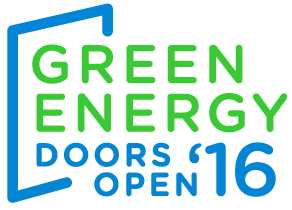 Find Green Energy Doors Open Events Near You & Register Today!